How to prepare my dog’s stay in a host family? HOW TO PREPARE MY DOG’S STAY IN A HOST FAMILY ? Your suitcases are packed and you’re ready to set off on holiday! 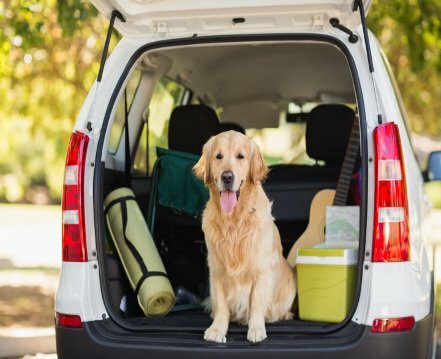 It’s now time to take your furry friend for his holiday! You have found the best dog sitting family for your pet, time to prepare your dog's stay in a a host family! Health records: It’s essential to leave your pet’s health records with the dog sitter. if the dog sitter has to go to the vets he will have all your pet’s health background and also your vet’s details. Your dog’s food: We recommend that you provide your animal’s food to avoid any digestive problems. If you’d rather the dog sitter supplies the food, it is important to change the biscuits or meat progressively. Medical treatment for your pet: Even if your dog is staying in a dog sitter’s home, it is very important to take all his medication along with the vet’s prescription. If it’s the first time you leave your pet, it’s important to ask yourself if you have actually ever left your dog for a couple of days or even a few hours. Your dog needs to get used to changing environments either by foot or by car. If he or she is not used to going out and leaving his comfort zone, it is important to start to get him used to it by either going to the future dog sitter’s neighborhood or even to a friend’s place. This way, you’ll soon see how your pet reacts when not near home. An even better exercise - try asking someone else to take him somewhere other than his home, this way he’ll slowly get used to it and feel more confident. Depending on what reaction he has, you may have to renew these ‘discovery walks’ until you both feel comfortable outside of your home. The aim being to enable your dog to face new experiences without stress. We all know that each dog has its own character, attitude and personality. It‘s very important to draw attention to any form of strange behavior before the care starts. The dog is extremely unhappy when the owner leaves him on his own. This is when the barking and the cries kick in. The dog is used to ripping up and destroying things, most of the time because he or she is bored. It is also a way of showing his loneliness when the owners are away. The dog fears the unknown, his uneasiness becomes a deep concern and this is when his tail goes between his legs, he may even bite if he really feels distressed.